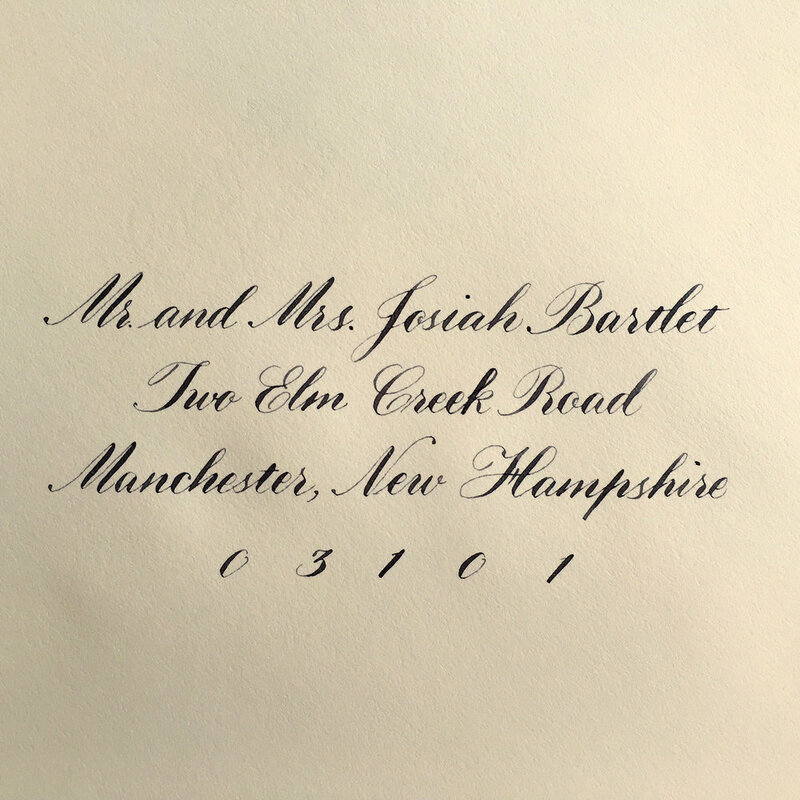 Whether it's a formal affair or casual occasion, the handwritten address on your envelope sets the tone for your event. There may be a prep fee for dark envelopes or envelopes with opaque linings. Approximate turn around for 100 envelopes is 7 working days. Please plan accordingly. Book your slot as soon as possible to avoid delays. Envelope addressed in Copperlate with ornate flourishes. Envelope addressed in a simplified interpretation of Copperplate.